Being a normal blogger would simply not help increasing your subscribers count lest convert them to customers… And to become a pro-blogger you need to take a leap forward. 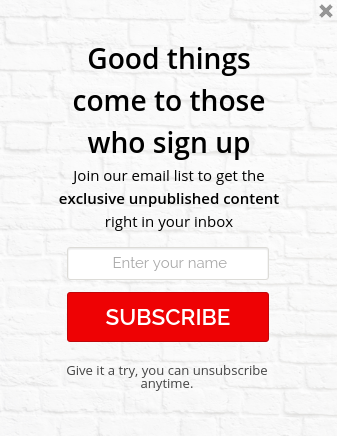 If you have the above mentioned pro-blogger attitude, all you now need to do is to use the right tools/plugins that will help you grow your email list and newsletter subscriber count. So here are the two very popular plugins that are easy-to-use and proven for conversion that will help you achieve the same. Icegram is an all-in-one lead generation & traffic conversion WordPress plugin that helps you create beautiful optin forms, create Call to Action (CTA) of your choice, show them to your specifically targeted visitors, and convert them into subscribers. The best way in which Icegram will help you to grow your blog is – It lets you present your offers in every possible way you can think of, and hence, impress visitors to convert them into subscribers. There are a lot and each one have the unique power to convert audiences. You can check them out. Popups are age-old proven techniques that work! Use them to grow your subscriber list. It is recommended to ask people to sign-up just before they exit your website. Showing a popup on exit intent is less pushy and thus can help in growing your subscriber list instantly. Not a big fan of popups? Don’t worry. Icegram’s inline message type can be embedded right within your content. Either put them before/ after post or simply insert them in between your blog. I would recommend you to place a sign-up form after every blog article. this will surely help you gain a few extra subscribers, each day! Messengers are message types that slide in from the bottom left/ right corners. As these resemble the chat boxes they have human touch about them. Use this to your advantage. Put up a personal picture of yourself and either welcome visitors/ give them a useful tip or a resource. Connecting to a reader at such a personal level will only help him gain more trust in your brand. Overlays are the latest fads. But you need to use them wisely. As they take up the whole screen, you can either use them on exit intent or right after a person lands on your website i.e as a Welcome Mat. You can use them to show the most important CTA on your website. Now for a pro-blogger that will only be to increase his reader base, right? So setup a subscriber form as a overlay and watch your list grow. These were just a few of the ideas that came from top of my mind that can literally double the engagement and conversions of your blog and blog posts. These are just the starters, the plugin has a lot more power and you’ve a lot more possibilities. Simply putting, you’re only limited by your imagination to skyrocket your blog’s succcess with Icegram. P.S: To kick start your imagination and creativity with Icegram, we’ve put up an extensive list of Ideas you can get started with. This plugin is a step higher. not only does it help you capture leads but also send these leads automated/ manual emails. Email Subscribers is a completely free, fully featured newsletter plugin & email marketing service. So, if you’re just starting out, i.e. if your needs are limited and are only focused on growing your blog through more visitors and subscribers, Email Subscribers is all you need. Single and Double opt-in facility. Create and manage Segments (groups) of subscribers and send unique content to each group. 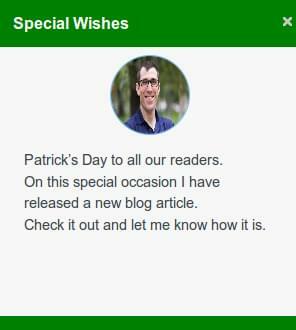 Automatic welcome mails (one of the first impression of your blog to your visitors after they become your subscribers). Also, to create your email, you’ve the WordPress’ WYSIWYG editor; so you can design any fancy email you want with this plugin. Keep minting leads for a lifetime! When Email Subscribers is paired with Icegram, it becomes the #1 Lead Collection and Management pair. While your leads are collected by Icegram, they’re then stored in Email Subscribers (Integration is already available) with which you can simply set up your own traffic generation through leads machine. Collect leads through Popup, and offer them all your blog posts as you publish them. Sign them up to a special promotion using Action Bar, and then run Cron jobs to send them promotional emails periodically. 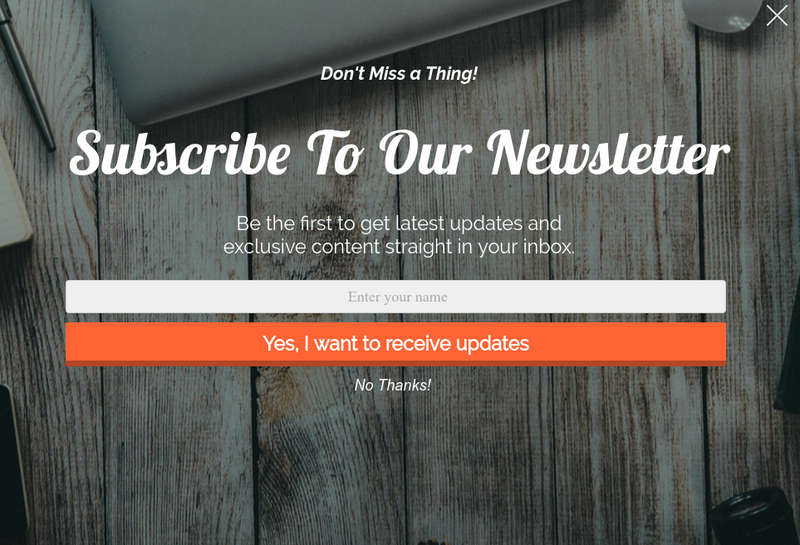 Use Inline Form to offer your subscribers a Content Upgrade using the Welcome Email as the content offering. There are many more possibilities. These are just the starters. As said earlier, you’re only limited by your imagination! When these 2 plugins are made to go together, they can turn your blog into a lead generation machine. Icegram handles all the hard part of offering your lead in a unique way, while Email Subscribers handles all your subscriptions and emailing part in the backend. So, if you want your blog to stand out from the others, you surely need to give a try to Icegram and Email Subscribers. Do you find this post useful? Have any other tip to share? Let us know in the comment section below. You have done a wonderful job,l say well done. am just coming on the board,whatever area you left uncover l will let you in future.After using these plugins on my website. Thank you for your appreciation. Glad you liked it. We hope you benefit and prosper. Also, do get back to us with feedback. You can easily integrate Email Subscribers with Icegram. Email Subscriber provides you a shortcode for displaying the form. This shortcode needs to be inserted in the text editor of the Icegram message. Do try it out and let me know how it works. Hi, it is possible to publish somewhere with the widget the number of subscribers? Icegram doesn’t automatically count the number of subscribers and display it on the widget. However, you can manually mention the number of subscribers in the widget content. My notifications are not being received by my subscribers and I have close to 2400. What do I do? How are you sending emails – immediately or via Cron? If sending immediately, please use any free SMTP plugin to send emails. More explained here. Hello, I have about 1000 subscribers, so in Bluehost, I can’t send email in onetime. I need to send by cron. But it seems that the cron email didn’t work very well. Thank you for using Email Subscribers.Can you please let us know what did you try about pro cron? And what did not work for you. We will help you to get it work. Thanks for this offer. I really appreciate it. Can you please contact us via this link https://www.icegram.com/contact/?